The Company was recognized for Compliance at the Compliance Awards 2014 instituted by Legasis Services Private Limited, a Mumbai-based company, involved in providing on-line compliance management system, to recognise and honour Compliance and Ethics professionals, who excelled in exhibiting the culture of Compliance across the organizations. The Company has been awarded the Best Management Award for the Year 2012 from The Government of Andhra Pradesh. The award was received from Sri. Danam Nagender, Hon'ble Minister for Labour & Employment, Government of Andhra Pradesh on May 1, 2013 at Ravindra Bharathi Auditorium. NFCL won the prestigious SILVER EDGE Award bestowed by Information Week in October 2012 for the Spatial Agronomy Information Application developed in-house by the IT team. The CIO 100 Award was awarded by CIO - IDG India in September 2012 to NFCL's CIO Mr V Srinivas for the Innovate & Cost Effective method followed in mapping the Merger & Demerger processes in the SAP application during the Organization restructuring in FY 2011. NFCL won the prestigious EDGE Award bestowed by Information Week in October 2010 for the Netbook based Mobility Application developed in-house by the IT team. The CIO 100 Award was awarded by CIO - IDG India in September 2010 to NFCL's CIO Mr V Srinivas for the Netbook based True Online / Offline Mobility Application. NFCL has bagged two awards from Indian Chemical Council, Mumbai for the year 2009-10. The awards have come in the categories of “Water Resource Management In Chemical Industry” under EHS Environment and “Certificate of Merit” for the ‘Best Complaint under Responsible Care for Codes Environment Protection and Process Safety management’. NFCL has bagged ‘FE – EVI Green Business Leadership’ Best Performer award for the year 2009-10 under Chemicals and Fertilizers category organized by The Financial Express & Emergent Ventures in India. Shri K. Rosaiah, Chief Minister of Andhra Pradesh presented the “Best Management Award” for the year 2009-10 to NFCL for maintaining excellent cordial industrial relations and for effective implementation of employee welfare activities on the eve of May Day at Hyderabad. Mr. R S Nanda, Director & Chief Operating Officer received the award on behalf of the Company. The CIO 100 Award was awarded by CIO - IDG India in September 2009 to NFCL's CIO Mr V Srinivas for the Windows Mobile PDA based Mobility Application. NFCL has bagged Green Leaf 2nd runner-up award in the Global Competition for Excellence and Innovation in Safety, Health and Environment held by International Fertilizer Industry Association (IFA). The award ceremony was held during the First Global Safety Summit conducted by IFA and hosted by Gulf Petrochemical Industries Company (GPIC), Bahrain. Dr Abdulhussain Mirza, Minister for Oil and Gas Affairs and Chairman of National Oil and Gas Authority, Bahrain gave away the awards, at a glittering ceremony at Ritz-Carlton, Bahrain. NFCL bagged two awards from the Fertilizer Association of India (FAI), New Delhi. It won the prestigious FAI Environmental Protection Award in the nitrogenous fertilizer plants category and stood as joint winner for excellence in Safety Award. NFCL has been awarded for the 3rd consecutive year and 5th time in the span of last 8 years and this reckoning has been done out of 31 Nitrogenous Fertilizers Plants in the country. The awards were received by Shri R S Nanda, Director & COO and Mr. Ramashray Singh, SGM (Plant Operations) in a glittering ceremony held during the 45th FAI Annual Seminar, which was organized at Hotel Mariott in Hyderabad on 3rd Dec 2009. Shri MK Alagiri, Hon’ble Minister for Chemicals & Fertilizers, Government of India, gave away the awards. 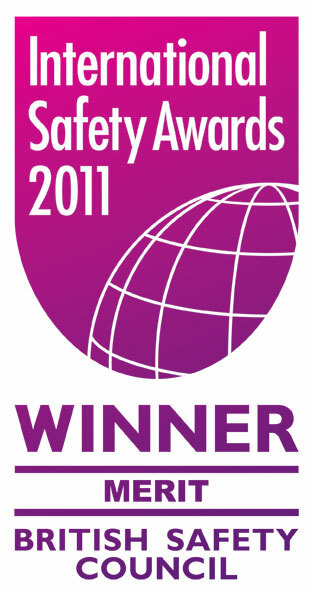 NFCL has bagged ICC AWARD for Excellence in Management of Health/Safety/Environment from Indian Chemical Council, Mumbai. Shri Srikant Jena, Hon’ble Minister of State for Fertilizers & Chemicals gave away the awards, in a glittering ceremony held at Mumbai on 4th Dec 2009. For the initiatives taken for improving the environment through CDM (Clean Development Mechanism). Nil Reportable Accidents for consecutive period of three years (i.e for 2006, 2007 & 2008). For attaining a 0/0 frequency rate / severity rate for the year 2006, 2007 and 2008. NFCL bagged two awards from the Fertilizer Association of India (FAI), New Delhi. It won the prestigious FAI Environmental Protection Award in the nitrogenous fertilizer plants category and award for the best article in ‘Production and Technology’. NFCL has been awarded for the 2nd consecutive year and 4th time in the span of last 8 years and this reckoning has been done out of 31 Nitrogenous Fertilizers Plants in the country. National Safety Council Award from National Safety Council, Andhra Pradesh. Chapter for implementing the Process Safety Management Systems (PSMS). NFCL has been awarded with prestigious ‘National Award for Excellence in Water Management’ by CII-Sohrabji Godrej Green Business Centre, Hyderabad. NFCL has won the ‘Best Technical Innovation’ Award from Fertilizer Association of India for performance excellence in the field of production technology. Nagarjuna Fertilizers and Chemicals Limited has been awarded with 'Best Management' by Labour Department, Government of Andhra Pradesh on the occasion of May Day. Award for Excellence in Natural Gas Conservation’ in the ‘Fertilizers Sector’ category from Gas Authority of India Limited (GAIL). Commendation Award in “Leadership and Excellence Awards in Safety, Health & Environment (SHE) 2004”, by Confederation of Indian Industry, Southern Region, Chennai. Bronze Award for OccupationalSafety for 2001 by ROSPA, U.K. Bronze Award for Occupational Safety for 2000 by ROSPA, U.K.
3 Star Rating in OH&S Audit by British Safety Council, U.K.
National Safety Award for 1998 by British Safety Council, U.K.
National Safety Award for 1997 by British Safety Council, U.K. Merit Award for 1997 from ROSPA, U.K.
National Safety Award for 1996 by British Safety Council, U.K.
National Safety Award for 1995 by British Safety Council, U.K.
National Safety Award for 1994 by British Safety Council, U.K.